Have big plans that you need cash for right now? There’s a number of reasons why Australians might need to take a personal loan, e.g. debt consolidation, medical & dental expenses, home improvement, travel, vehicle finance, household furnishings, car finance, wedding, even funeral. 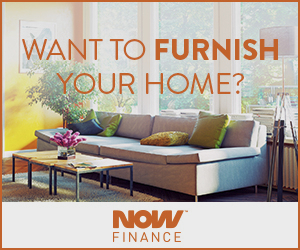 Consider applying for your unsecured personal loan with NOW FINANCE. NOW FINANCE personal loan is an online loan with competetive interest rates which comes with the comfort of a highly personalised service. Australian owned finance company NOW FINANCE offers three distribution channels: Finance brokers, direct distribution through their website and point of sale. The idea behind the personal loans from NOW FINANCE is, to combine cutting edge technology with a customer first approach to provide an optimsed customer experience. NOW FINANCE is not a bank, nor are they a payday lender. NOW FINANCE are your personal loan specialist. By focussing on personal loan solutions tailored to your needs, the finance experts can provide better service than the banks with their one size fits all approach. So, if your big plans require additional capital right now, NEW FINANCE’s unsecured personal loans could be the right solution for you. Get your individual interest rate for a personal loan within 60 seconds. $4,000 to $40,000. Quick credit decision. When applying for a personal loan, be aware that your personal loan rate depends on your current financial situation and your credit score. Financial websites often display benchmark rates for personal loans that could vary greatly from your personal rate. However, most loan providers won’t tell you your personal rate until you apply, which in turn could decrease your credit score. Sounds like a catch-22 situation, doesn’t it? NOW FINANCE is a finance company, that gives you your personal rate before you apply. The process of calculating your loan rate does not touch your credit file at all. Check out the explanation in this short video before you head over to NOW FINANCE’s Get My Rate calculator. Get your individual interest rate. You’ll know your rate even before you apply without affecting your credit score. Complete the 10-minute application process online with the help of your Australian-based personal loan advisor. Upload or send any requested supporting documentation. The funds are transfered into your bank account uppon final loan approval. Usually, if you apply before 2pm(EST) you will receive a decision on your application on the same day. Once your application has been finally approved, it will take around two hours for the money to be transfered to your bank account, provided, all needed documents have been uploaded. Eligible for a personal loan from NOW FINANCE is every Australian citizen or permanent resident from 18 years and older. You may be employed either full time, part-time, self-employed or casual and may not have unpaid defaults. Needless to say, that it’s critical for your application that you’re neither are bankrupt nor have a court judgement. Why choose a NOW FINANCE unsecured personal loan? There’s a number of banks and financial service providers out there, who offer personal loans to Australian people. So, why should you want to choose a personal loan from NOW FINANCE? Well, they come with a number of benefits which are made possible by the customer first philosophy of NOW FINANCE. At FIRST FINANCE, you will be treated as a person rather than a number. Not only do they operate an Australian-based customer care center. You even get your own personal loan adviser who will be your contact person every time you need to contact NOW FINANCE. That way you can be sure, that the person who you talk with will come to know both your personal situation and yourself. Their state of the art technology platform enables NOW FINANCE to create the best personal loan product for your needs. Things are kept simple: From a simple application process to a quick credit decision to a personal contact person. However, if you never need to call them, they won’t hassle you unnecessarily. 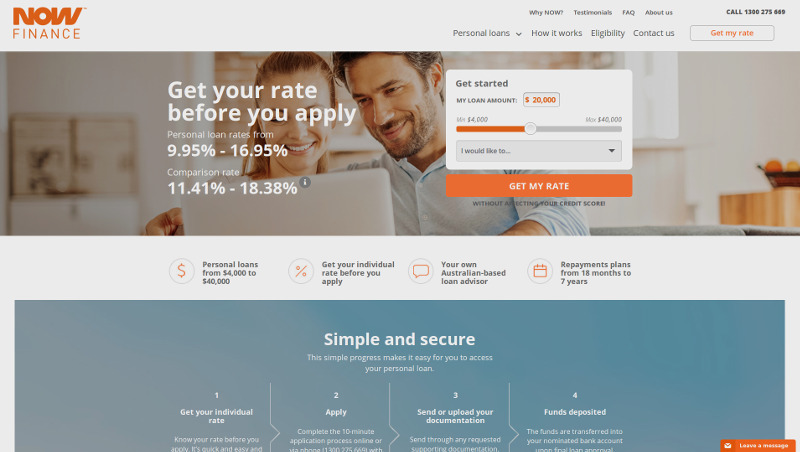 NOW FINANCE’s unique personal loan application process will allow you to access your individual rate for free and without hurting your credit score. Direct communication with Veda makes it possible. While NOW FINANCE has not yet become one of the most wellknown financial brands in Australia, they work hard to achive this goal. Customers obviously perceive and appreciate these efforts. At TRUSPILOT, NOW FINANCE have an ‘Excellent’ rating of 9.3 out of 10 points, based on 48 reviews at the time of writing. Awesome customer service, great fast service, no fuss finance is what customers say about NOW FINANCE.